"Be the Inspiration" is the theme of New Zealand’s 2016 Olympic Games campaign. It tells the story of how we as a nation support and inspire our athletes as they prepare to pull on the iconic black singlet - which has been worn with pride by generations before them - and in so doing, inspire us. 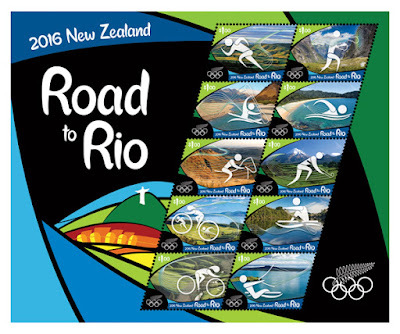 The stunning stamp issue consists of ten $1 stamps - representing the ten events that New Zealand has previously won gold medals in: athletics, boxing, canoeing, swimming, equestrian, field hockey, triathlon, rowing, cycling and sailing. Featuring elements of the New Zealand Olympic Committee’s (NZOC's) ‘Be the Inspiration’ campaign, the photographs on the stamps reflect the New Zealand landscape as the athletes' training ground for future success. The ten stamps are housed within a specially designed sheetlet and are uniquely shaped as parallelograms to represent movement - reflecting the active lifestyles of New Zealand’s Olympic athletes. The ‘Be the Inspiration’ ribbon is displayed in full on the set of two first day covers. 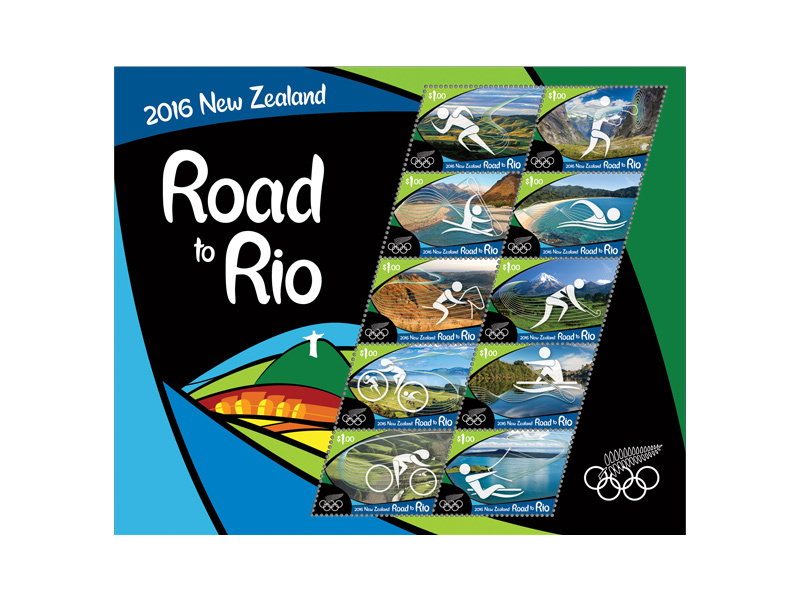 It follows the New Zealand athletes' journey from New Zealand’s varied landscape to the vibrancy of Rio. 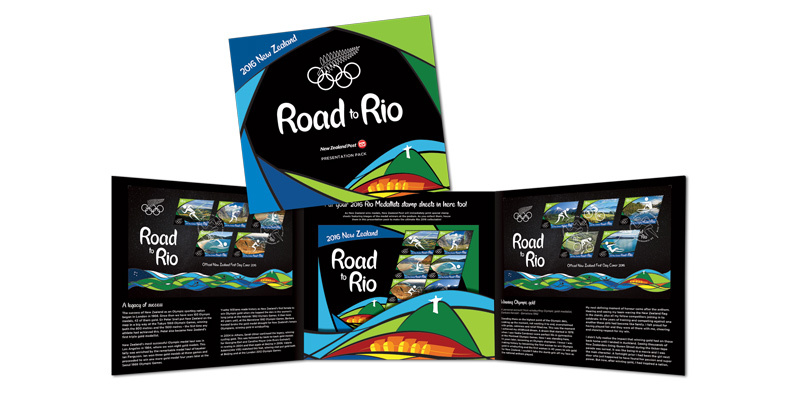 The perfect memento of the Rio Olympic games, this special presentation pack has been written by New Zealand’s golden girl and gold medal winner, Barbara Kendall. You’ll learn about New Zealand’s journey to Rio and our previous Olympic successes and read her personal account of what it means to win gold for New Zealand. Inside, you’ll also find the sheetlet of ten stamps and the set of two first day covers.